Unlike most tech companies preparing to go public, video-conferencing startup Zoom is profitable. 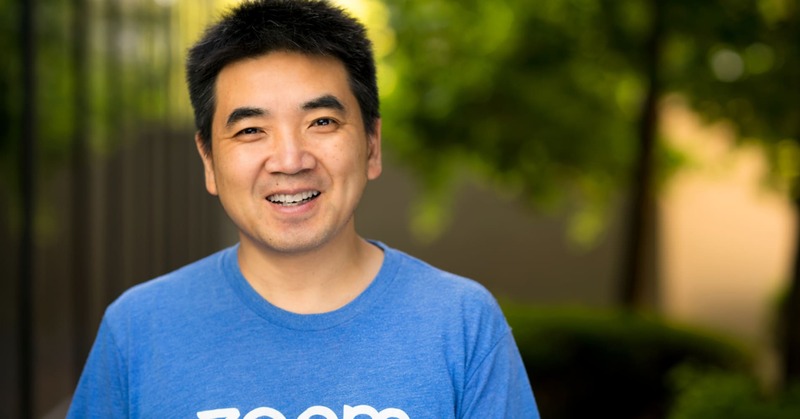 One key driver of Zoom’s profitability: a large engineering team in China, where average tech salary is relatively lower than in the U.S.
Zoom’s large R&D presence in China, which is likely made easier by CEO Eric Yuan’s Chinese background, is turning out to be a major cost saver for the video-conference software maker — and reflects an increasingly popular strategy among fast-growth tech companies. Zoom disclosed in its IPO prospectus last week that most of its product development personnel are based in China. Zoom employs over 500 people across multiple R&D centers in China, which accounts for roughly 30 percent of its total workforce and 70 percent of its non-US-based employees, according to the prospectus. In the fiscal year that ended Jan. 31, Zoom spent $33 million on R&D, or just 10 percent of total revenue. That’s a much smaller share than other business software makers, and less than half the median R&D percentage of its peer group, according to Redpoint Ventures’ Tomasz Tunguz. For example, Atlassian’s development cost accounted for over 40 percent of its revenue, while smaller companies like Zendesk and Hubspot both spent over 20 percent of their revenues on R&D. That helped Zoom record a net income of $7.6 million last year, even after spending more than half of its revenue on sales and marketing, like many young business software companies. Its revenue more than doubled to $330.5 million in the same period. “One key driver of profitability is labor-market arbitrage,” Tunguz wrote in a blog post about Zoom’s financials. Zoom’s representative didn’t immediately respond to a request for comment. 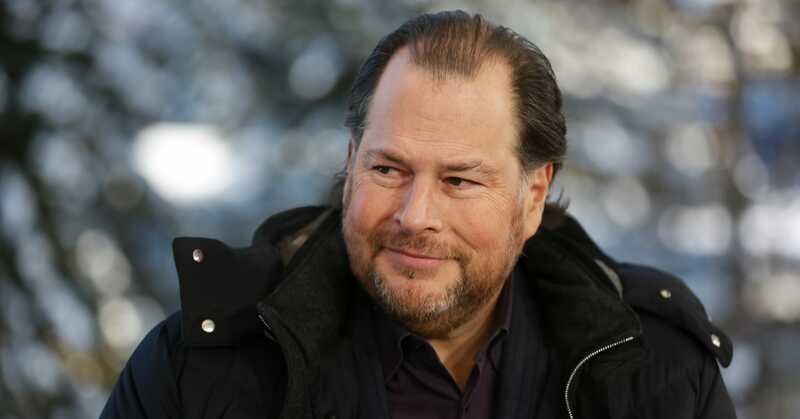 Salesforce is part of a growing number of tech companies addressing the potential impact of Brexit, a move that could add significant uncertainty to businesses in Europe. Although British lawmakers are once again expected to vote to delay Brexit, which is scheduled for later this month, more investors are asking about its future risk. In the past three months, 93 earnings calls of the S&P 500 companies addressed Brexit and its potential impact, according to FactSet. Among those are some of the largest companies, including Facebook, Cisco and Walmart. While most companies were cautious with their answers, sharing very little detail, some companies were more upfront about it. Facebook’s CFO David Wehner also said during January’s earnings call that macroeconomic concerns, like Brexit, are a “risk on top of other issues” facing the company. Other companies tried to play down Brexit’s effect on its business. HPE CEO Antonio Neri said demand was “very steady” throughout the quarter, highlighting double-digit sales growth in the U.K. Walmart’s CEO Doug McMillon said he’s “impressed” with his U.K. team’s performance, while Cisco CEO Chuck Robbins said he’s been “amazed at the resilience” he’s seen from employees around the world. It’s unclear why Salesforce decided to share more details about Brexit’s potential impact. The company generates less 20 percent of revenue from the European region, a smaller share than companies like Facebook or Cisco, who get about a quarter of their sales from Europe. Salesforce’s representative wasn’t immediately available for comment. Still, Salesforce said it’s already “evaluated and started to implement initiatives,” as it sees “significant uncertainties” arising from Brexit’s outcome. “We recognize that there are still significant uncertainties surrounding the ultimate resolution of Brexit negotiations, and we will continue to monitor any changes that may arise and assess their potential impact on our business,” Salesforce said in the filing. Amazon CEO Jeff Bezos, to say the least, is having a rough start to the year. But don’t expect him to lose focus. 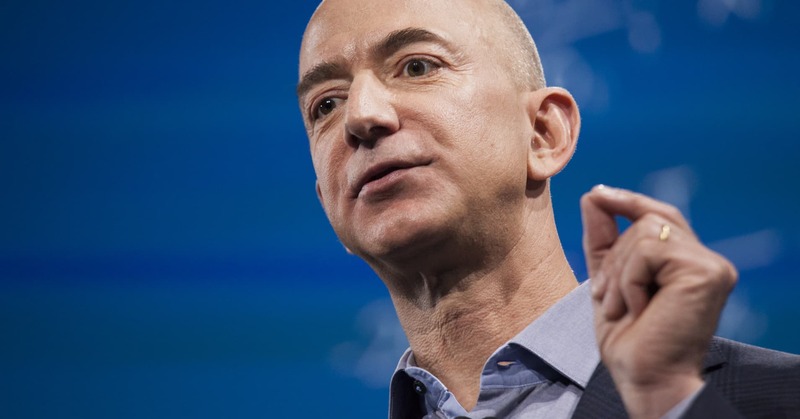 That was Bezos’ message during Amazon’s internal all-hands staff meeting last week, when an employee asked the CEO if any significant changes are expected because of everything that’s happened to him over the last two months. 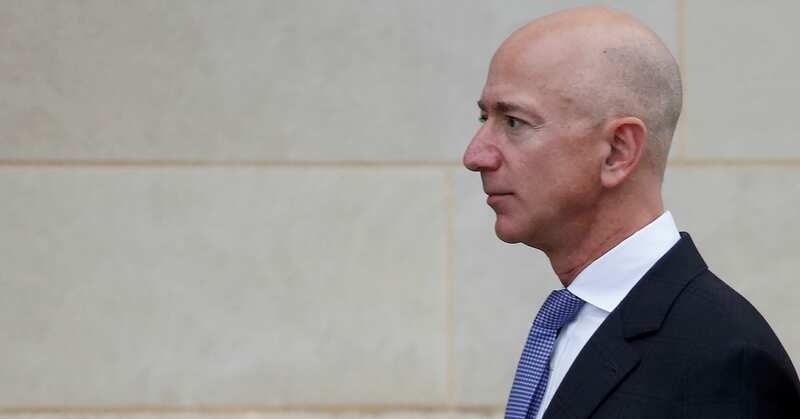 Bezos is currently facing an impending divorce, a tabloid scandal and a publicity nightmare stemming from HQ2’s pullout from New York, among many other things. It was Bezos’ first public comment to employees addressing the concerns about his work at Amazon as he’s dealing with a series of issues — both personally and professionally — that could potentially distract him from running one of the largest companies in the world. 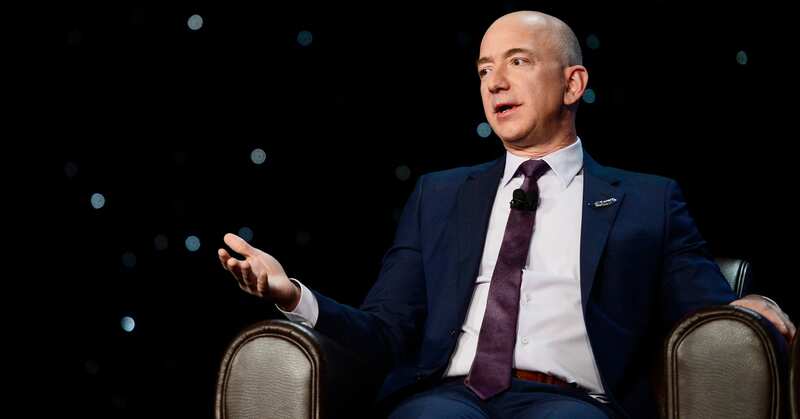 While the comments reaffirm his commitment to work, questions remain on how exactly Bezos will get through one of the toughest periods of his career, corporate governance experts say. “Given the stress he’s under, I would think it’d be rather difficult to continue running the company in a normal fashion,” said Charles Elson, a professor and director of the corporate governance center at the University of Delaware. Amazon has tapped 14-year company veteran Nader Kabbani to run its new pharmacy business, including the team that came in through last year’s acquisition of PillPack, CNBC has learned. Kabbani, who helped build Amazon’s Kindle self-publishing platform and has served as vice president in the logistics and Flex businesses, is now “vice president of consumables, special projects,” according to an internal document that was viewed by CNBC. The entire team at PillPack, which Amazon bought for more than $800 million in June 2018, reports directly to Kabbani, the document says. That includes CEO TJ Parker, product chief Elliot Cohen and technology head Alan Gao. The pharmacy business has huge potential for Amazon. In the U.S., more than 4 billion prescriptions are ordered annually, and spending is expected to top $600 billion in the next few years, much of that covered by insurers and Medicare and Medicaid. 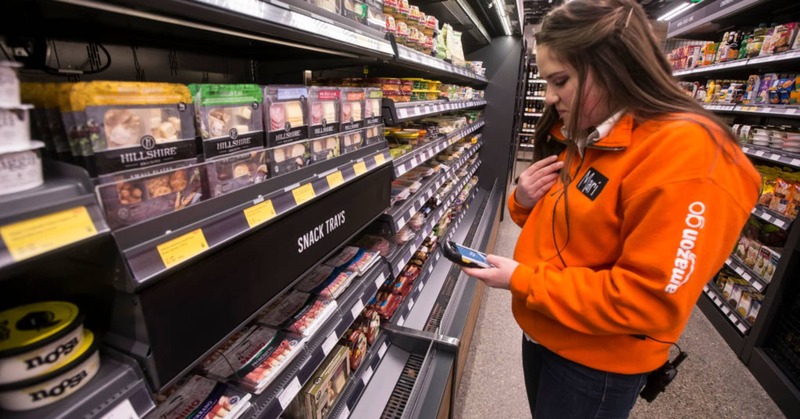 With PillPack, Amazon is poised to take a slice of the growing home delivery market, though it could also potentially incorporate retail pharmacy offerings at Whole Foods locations, after buying the upscale grocery chain for more than $13 billion in 2017. 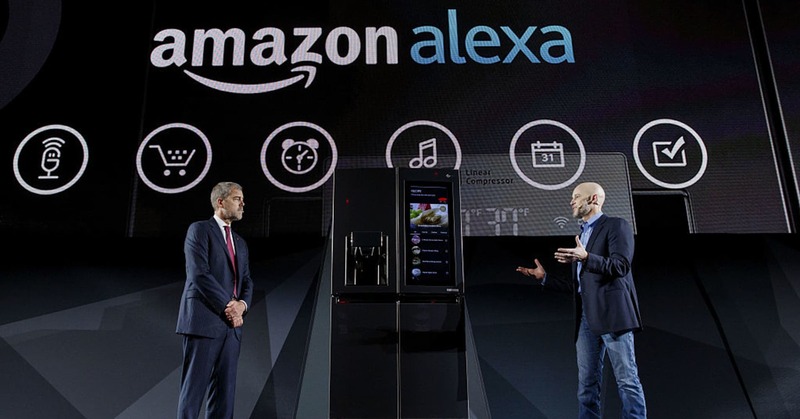 Kabbani’s appointment shows Amazon is putting one of its most ambitious new projects in the hands of a trusted company executive with plenty of experience in supply chain and logistics, but no background in pharmaceuticals or health care. He was in charge of Amazon Flex, the company’s program that hires individuals to make deliveries on a flexible schedule, as well as other aspects of Amazon’s last-mile delivery strategy. His LinkedIn page has him listed as the vice president of Flex since March 2017. The pharmacy and distribution industries have been watching Amazon’s every move. Following the announced acquisition of PillPack, shares of drug distributors and pharmacies plummeted, with Walgreens Boots Alliance plunging 9.9 percent and McKesson dropping 6.1 percent. CVS Health, Cardinal Health, AmerisourceBergen and Rite Aid also fell on concern that Amazon would eat into their markets. Pharmacy is a notoriously challenging sector, given the dominance of brick-and-mortar incumbents and the middlemen that negotiate drug prices and manage their distribution. Amazon announced on Thursday that former Pepsi CEO Indra Nooyi has been named to the company’s board of directors. She will also join the Audit Committee of the Board, according to the company’s regulatory filing. Nooyi becomes the fifth female member of Amazon’s 11-person board, following the appointment of Starbucks COO Rosalind Brewer as a board member earlier this month. Last year, Amazon pledged to include women and minority candidates in its board search, following shareholder complaints about the company’s lack of diversity. Nooyi served as Pepsi CEO from 2006 to 2018, and remained chairman until she stepped down from that role on Feb. 1. 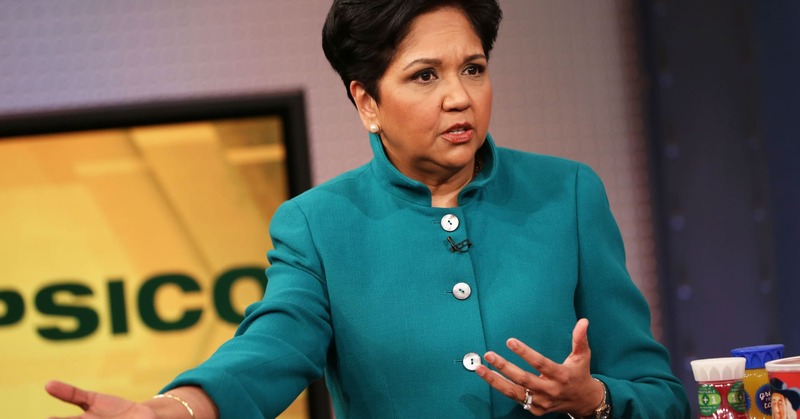 Nooyi was awarded 549 shares of common stock as part of her appointment, which will vest in three equal annual installments beginning on May 15, 2020. Amazon shares closed at $1,633 per share on Monday.